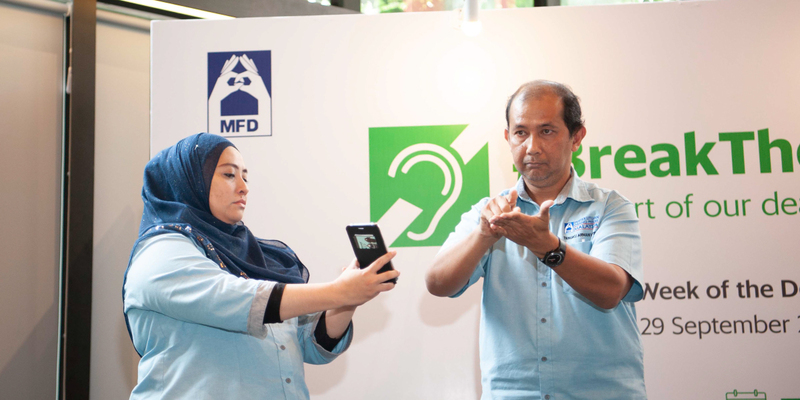 Together with our friends at the Malaysian Federation of the Deaf (MFD), Grab hosted a special luncheon here in Kuala Lumpur to celebrate the International Week of the Deaf. 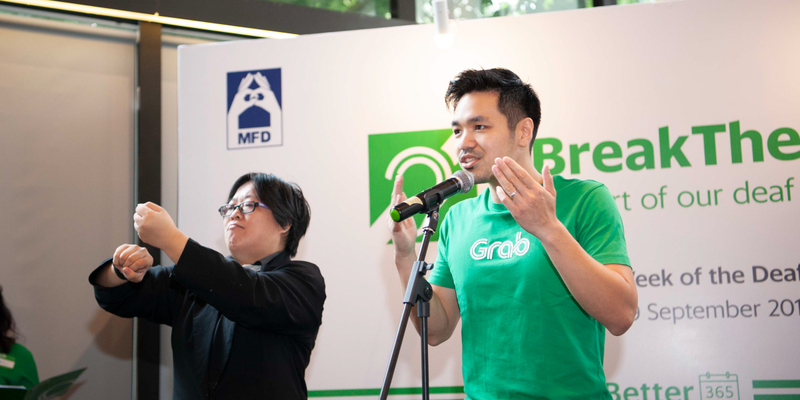 As part of the #BreakTheSilence campaign, aimed at empowering financial independence and facilitating better non-verbal communication, the event was held to recognise and honour the many hardworking and honest deaf driver-partners that use the Grab platform as a source of flexible income. Besides bringing over 100 deaf drivers under one roof, the occasion was also attended by Grab Malaysia’s Country Head, Sean Goh; Country Marketing Head, Iris Chang and Head of Operations, Rashid Shukor. Also present were Tengku Arman Harris Tengku Ismail, President of Malaysian Federation of the Deaf, and their Executive Director, Mohd Sazali Shaari. Tengku Arman Harris Tengku Ismail, President of Malaysian Federation of the Deaf, signing during his speech. 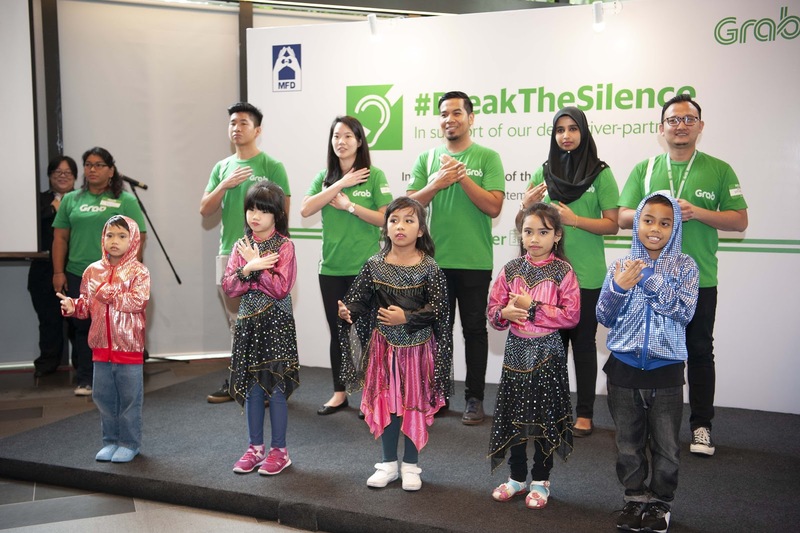 Together with the support from MFD, the attendees were treated to a few activities such as – a dance performance by pint-size entertainers from Istika Jaya Kindergarten which was then followed by a special recital of the national anthem in Sign Language together with our Grabbers. There was also a mini workshop to teach basic Sign Language as part of an effort to bridge the communication gap between the deaf and hearing community. Another major highlight of the event was the unveiling of Grab’s very own sign that was specially crafted by MFD! The official sign that represents Grab’s name marked another step in Grab’s effort in creating an inclusive platform for everyone from all walks of life, especially our deaf driver-partners. 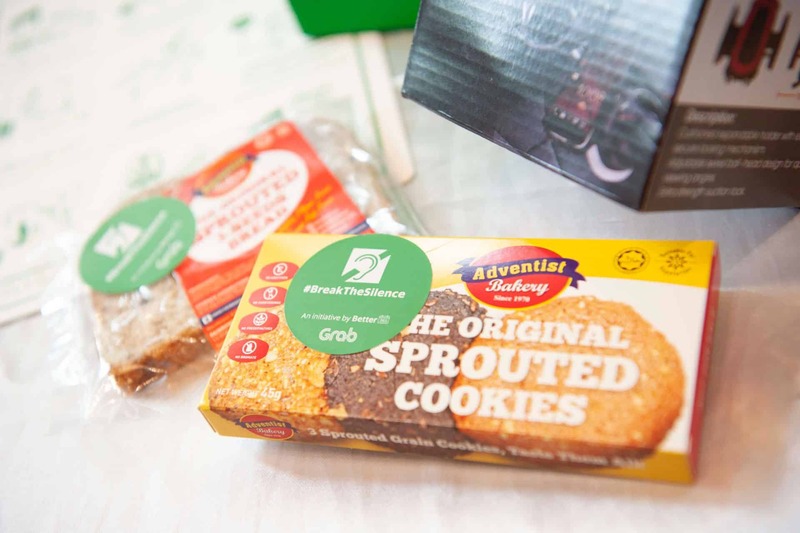 Besides the yummy lunch spread, the occasion also featured two deaf driver-partners, Low Kin Kheong and Nor’Ain Azizan who shared their story driving on Grab’s platform. The session not only provided a platform for both of them to share their experiences with Grab but also an opportunity to provide feedback to our team. This session gave Grab a chance to get up close and personal with our deaf driver-partners to understand them better and find ways to improve their driving experience. As a little token of appreciation, Grab gave away goodie bags to all the deaf driver-partners that attended the event. The goodie bags included in-car materials like Car Hangers and Flip Cards that driver-partners can place in their cars to help their passengers communicate with them better. Other than that, the goodie bag also contained cookies and bread samples sponsored by Rainbows Health Food Industries SB! One of our deaf driver-partners, Joey Kow, helps to oversee the production of cookies at this bakery. Our driver-partners are all smiles with their goodie bags! Snacks courtesy of Rainbows Health Food Industries SB! We’ve also given out a few prizes along the way! Prizes like air fryer, oven & vacuum as well as Petronas gift cards were also presented throughout the event in a series lucky draw. Needless to say no drivers went back empty-handed! Some of the lucky winners for the afternoon! All in all, Grab hopes to continue its effort to empower the deaf driver-partners and close the communication gap. 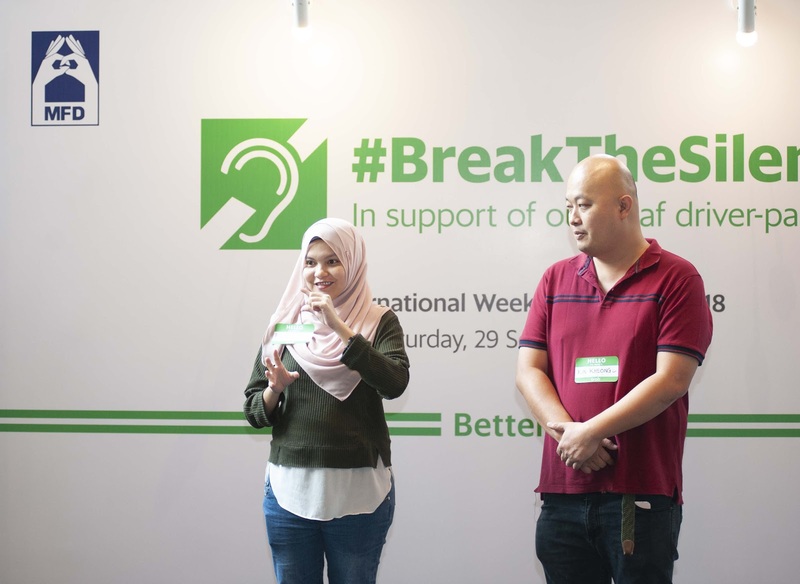 With the further collaboration with different organisations, Grab will work towards creating a more inclusive platform to be able to improve the livelihood of deaf driver-partners on our platform and ultimately #BreakTheSilence. On behalf of everyone at Grab, we would like to again wish all of our deaf drivers a Happy International Week of the Deaf and we hope to see you in similar events in the near future! To find out more about our initiatives to #BreakTheSilence and support our deaf community, click here.